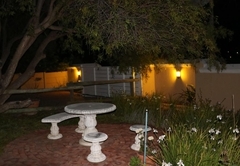 Anchorage Inn Guesthouse is a highly recommended B&B with self catering option, providing accommodation in Montagu for tourists visiting the Breede River Valley region. 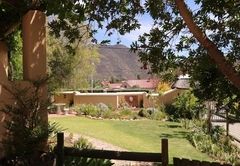 Anchorage Inn in Montagu offers luxury accommodation in Montagu in the Western Cape, only two hours' drive from Cape Town. 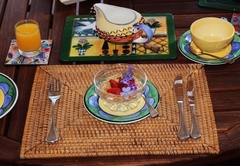 Anchorage Inn offers both bed and breakfast and luxury self-catering - you choose what suits you best. 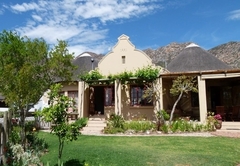 The charm of thatch, the airy spaciousness of the accommodation and our magnificent setting will ensure a memorable stay at Anchorage Inn, while you enjoy the fascinating town of Montagu and the interesting surrounding areas. Drive through the majestic mountains of the Western Cape, through beautiful vineyards and historic towns, to reach us in Montagu, on Route 62. This is the world's longest wine route, and it is a spectacular drive on your journey to and from the North and the Garden Route. 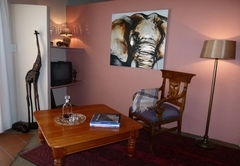 Ndlovu bed & breakfast suite has a private entrance. The bedroom area has two extra-width (3/4) single beds. The bathroom has a bath and overhead shower. 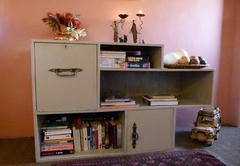 Spacious lounge, TV (local channels), extra single bed. Microwave, small fridge, kettle, toaster. Dining area. Lovely views from own patio. 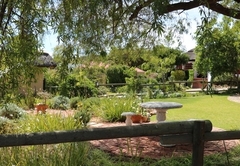 Under thatch - traditional South African style. 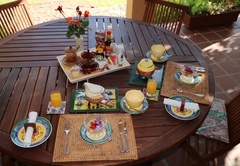 A delicious full English breakfast included - served on the patio or in the privacy of your own suite. 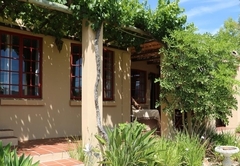 Nguni self catering cottage has its own entrance and private patio. The open plan layout includes a bedroom area with king size bed (or twin beds) and an extra single bed in the lounge area. TV (local channels). Bathroom with bath and shower. 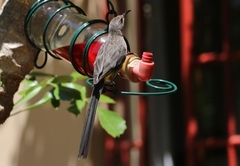 A well equipped kitchenette, small, sunny private patio. Bright and friendly. 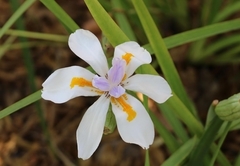 Thatch creates a special atmosphere and ensures a cool haven on hot summer days. Safe, covered off-street parking is provided. Enjoy a dip in the pool, or relax on the veranda and watch the setting sun paint the rugged cliffs of the surrounding mountains in shades of pink, mauve and gold. Free WiFi for all our guests. 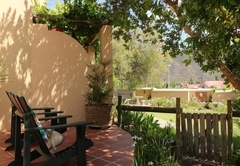 Our location in Montagu is truly unrivalled and the views are magnificent. 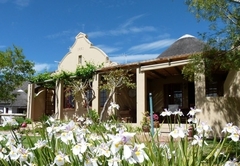 The Langeberg mountains form a spectacular backdrop to the village that nestles in the valley. 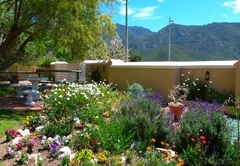 Although you will enjoy a view of the village and the mountains, you are just a short walk from the centre of town. 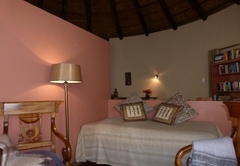 Unique elegant-African experience - spacious with fascinating decor. Each item selected over time with care and attention to detail. Main bedroom with two extra width (3/4) beds, additional single bed in lounge area. En-suite bathroom with shower. King size bed (or twin beds), Extra single bed, TV, Bathroom with bath & shower, Well equipped kitchenette, Sunny patio, beautiful views. Very nice B&B, friendly service. 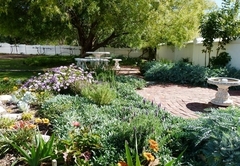 We absolutely loved our stay in Montagu. Such a well presented establishment, so clean and tidy, excellent service and ambience. 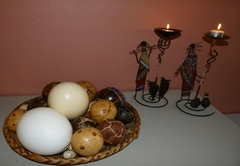 Totally enjoyed ourselves staying there and will definitely stay again, whenever we ge tback to South Africa. Response timeAnchorage Inn Guesthouse typically responds to requests in 5-10 minutes.